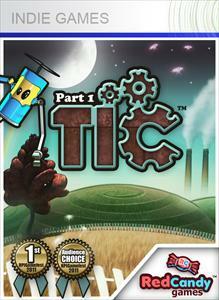 TIC: Part 1 was developed by Red Candy Games. It was released on June 21, 2011 for 240 Microsoft Points. A copy of the game was provided by the developer for review purposes. TIC: part 1 is an stunning example of what the Xbox Live Indie Marketplace was made for. This simple, beautiful game is amazing from one end of the spectrum to the other. It’s got bright vivid colors, a simple story line, a unique art style and most of all it’s tons of fun. You control TIC, a robot who needs to save the world from oil stealing aliens. To do so, you must fly, collect and drill your way through the stages.